MANCHESTER, NH – A newly-inked deal between Manchester, NH-based Great North Aleworks and Chelsea, MA-based Night Shift Distributing will bring the two-year-old brewery’s beer south to the Great Boston area starting in October. 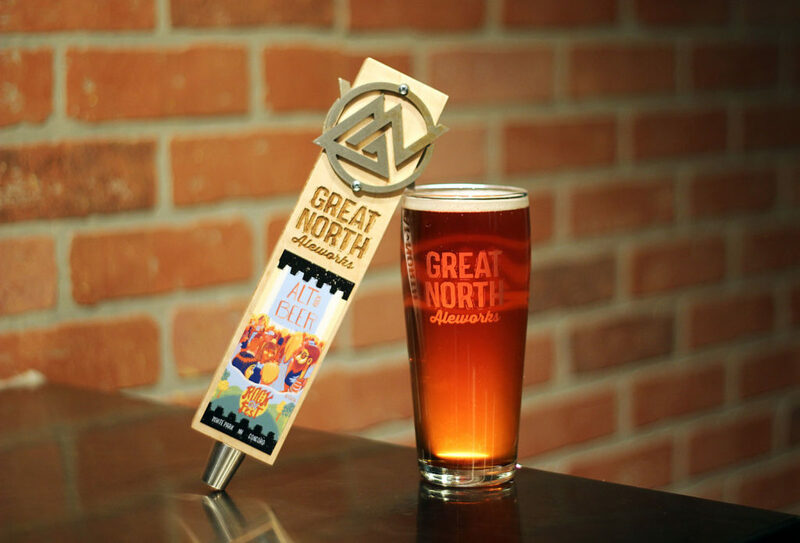 Great North Aleworks first caught the eye of Night Shift Distributing CEO Rob Burns when the brewery’s flagship Great North IPA took silver in the American IPA category at the 2016 World Beer Cup. 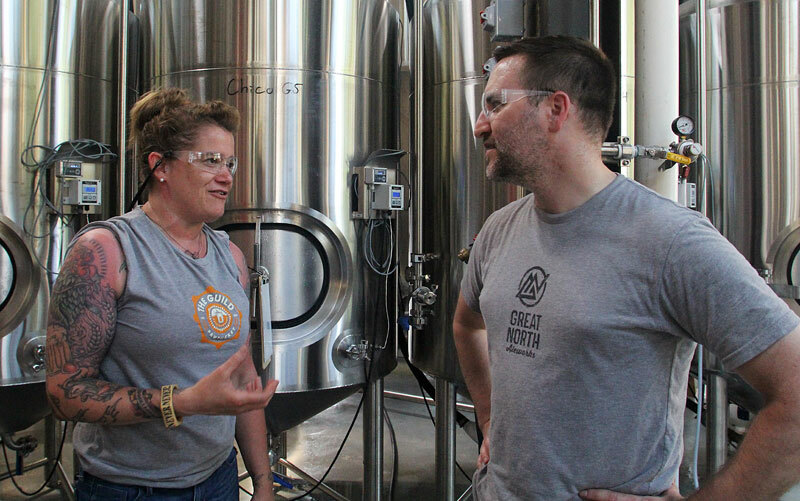 For Great North co-founders Rob and Lisa North, the partnership means an entirely new audience for their varied lineup of beers; previously only available in New Hampshire and Connecticut. “Many of our current customers live in Massachusetts and enjoy our beer while visiting New Hampshire. It’s exciting to know they’ll now be able to enjoy our beers at home. We also look forward to welcoming new fans of our beer at our brewery and tasting room located just 20 minutes north of the MA/NH border,” said Rob North. Along with the award-winning Great North IPA, thirsty Massachusetts residents should expect to try the Tie-Dyed Dry-Hopped Pale Ale: an aromatic and refreshing session beer; as well as RVP Robust Vanilla Porter: a complex and enticing dark offering that marries toasted malts with pleasing vanilla sweetness. These three beers make up the core lineup for Great North, but other seasonal and limited offerings will likely make their way to Massachusetts in time – including Moose Juice IPA and Tragically Hopped Double IPA. 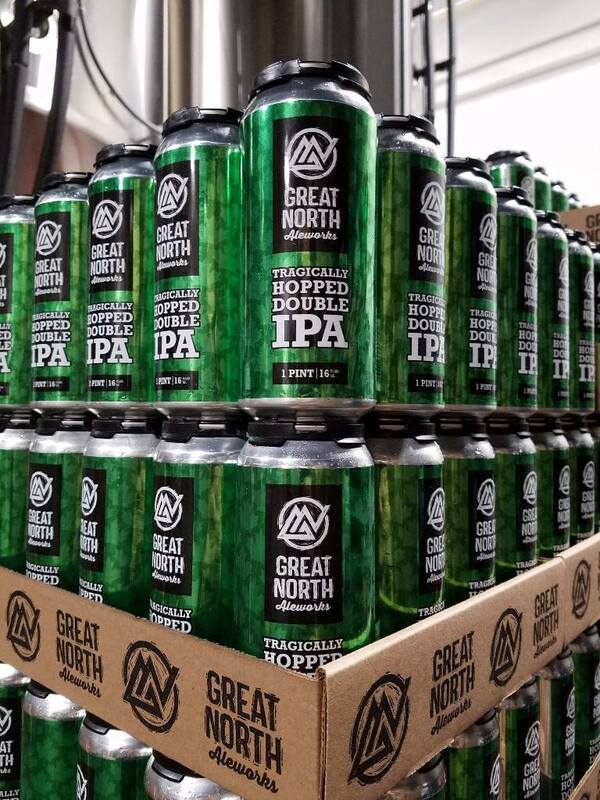 Great North’s offerings will be available in 6-packs of 12oz cans, as well as on draft at local bars and restaurants. Canned beer was a priority for the brewery from the get-go, “Two of our core values are quality beer and accessible beer. We believe that cans help to achieve both goals, by keeping beer fresher for longer over bottles, and in a package that is more portable than glass. Can filling technology has made great strides in the last decade allowing breweries like Great North and Night Shift to adopt this format does what’s best for the beer and our customers,” said North. The two will celebrate the partnership with a weekend of events from October 12th through the 14th. More information can be found at nsbeer.co/greatnorthlaunch. Great North Aleworks is a 20 barrel production brewery located in Manchester, NH. Founded by Rob and Lisa North, the brewery’s goal is simple – to craft flavorful, food-friendly beers, while maintaining a fanatical devotion to quality. For more information visit: www.greatnorthaleworks.com. 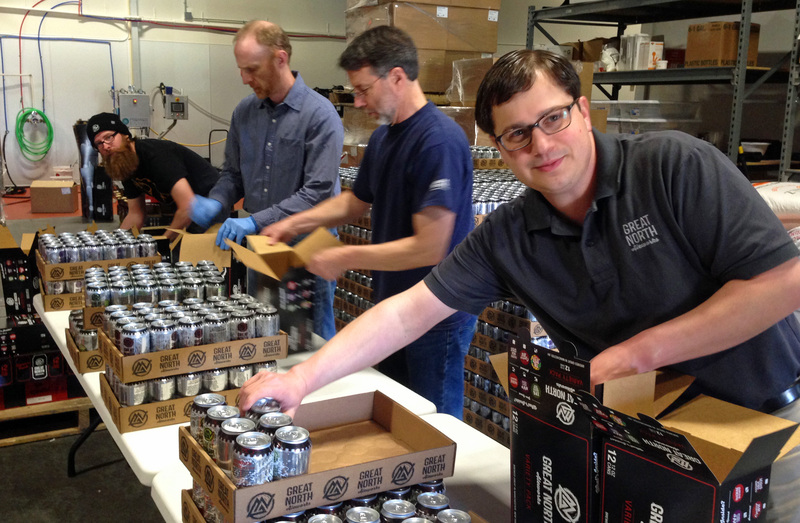 Night Shift Distributing began in 2016 with a fresh approach to beer distribution in MA. With four years of self-distribution roots in the brewing industry, Night Shift Distributing is disrupting the MA wholesaler landscape by offering breweries a like-minded distribution partner with a strong focus on beer quality and freshness, brand control, and customer service. For more information, please visit www.nightshiftdistributing.com. 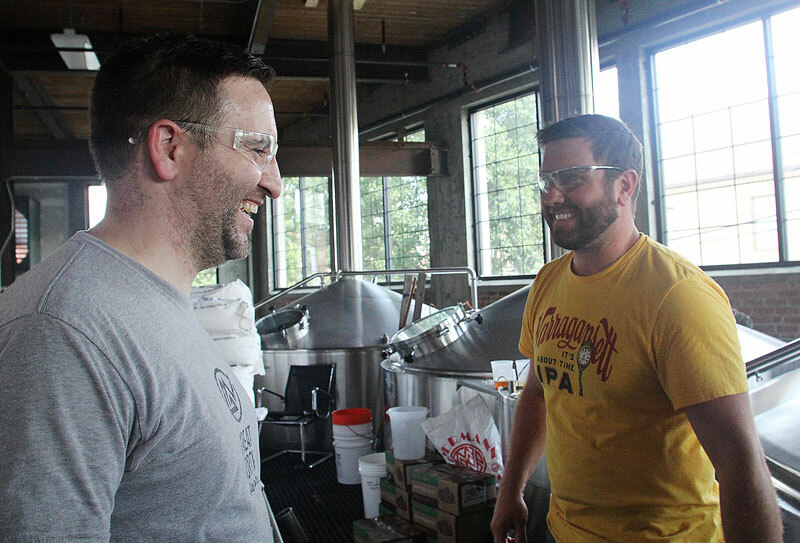 Great North Aleworks quality assurance lead John Cataldo speaks with IBG brewer Aaron Crossett at Isle Brewers Guild in Pawtucket, RI. Manchester, NH • July 5, 2017—Great North Aleworks is pleased to announce a partnership with Isle Brewers Guild (IBG) of Pawtucket, Rhode Island to help expand their production capabilities. IBG is designed as a partner brewery, where Great North can brew its beers under the care and supervision of its own staff. Other IBG partner breweries include Narragansett Brewing Co. and Newburyport Brewing Co. Starting in July, Great North will be brewing its award winning flagship Great North IPA at IBG under the careful watch of owner and head brewer Rob North, as well as quality control and assurance manager John Cataldo. Every detail has been thoroughly reviewed to insure that Great North IPA tastes the same whether it is brewed in Manchester or Pawtucket. From the water chemistry, to the dry-hop technique, the beer will be the same. The reason for this partnership is to allow Great North the ability to keep up with the demand for Great North IPA, as well as meet the growing demand of other beers such as Tie Dyed dry-hopped pale ale. “We are absolutely thrilled to have found a partner like IBG with a state-of-the-art facility, an all-star team, and a shared obsession to quality. Our partnership will help us provide a reliable supply of fresh, consistent, and exciting beers to our loyal customers in New Hampshire and Connecticut.” said Rob North. Great North Aleworks quality assurance lead John Cataldo speaks with IBG quality assurance/cellar supervisor Jodi Andrews at Isle Brewers Guild in Pawtucket, RI. 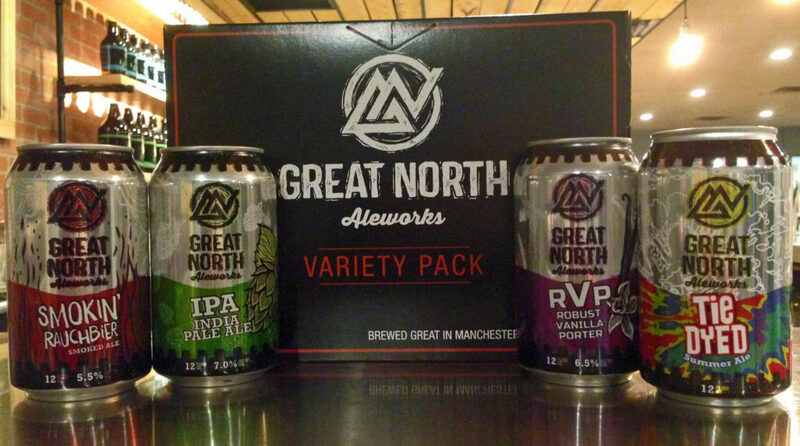 Great North Aleworks is a 20-barrel production brewery located in Manchester, New Hampshire. 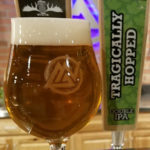 Founded in August 2015 by award winning homebrewers Rob and Lisa North, Great North specializes in brewing flavorful, food friendly beers, with a fanatical devotion to quality. Great North’s beers are available in cans and kegs throughout New Hampshire thanks to a distribution partnership with Amoskeag Beverages and in Connecticut with Sarene Craft Beer Distributors. Year round offerings include: Great North IPA (India Pale Ale), RVP (Robust Vanilla Porter), and Tie Dyed (Dry-Hopped Pale Ale). Seasonal beers include: Northbound (American Pilsner), Cranberry Wit, Chocolate Milk Stout, and Tragically Hopped (Double IPA). Other special releases and collaborations are available throughout the year. Great North Aleworks has a tasting room located at their brewery where guests can take a tour, have a growler filled, sample beers, and enjoy a pint. Isle Brewers Guild is a craft beer cooperative that provides a “production partnership” for craft brewers facing manufacturing, packaging and distribution restraints. IBG gives partner brewers the facility and equipment to maintain control of their brewing and packaging processes. IBG’s brewing, packaging and distribution operations take place on a 131,000-square-foot brewing campus located at 461 Main Street in Pawtucket, R.I., which includes a 100-barrel brewhouse, a tasting room, indoor and outdoor event space, classroom space and corporate offices. IBG’s partners include Devil’s Purse Brewing Co., Farmer Willie’s Craft Ginger Beer, Great North Aleworks, Narragansett Brewing Co. and Newburyport Brewing Co. and Sons of Liberty. Thanks to all who came by the brewery on July 1st to help celebrate Canada Day. We all had a blast & we hope you did too! 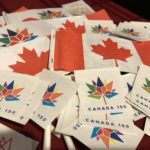 A lot of people participated in Canada Day trivia – as promised, the answers are available via the link below. The maximum number of points that could be earned was 43. The winner was Josh Abugov with 42 points (there were 4 other answer sheets in the 40’s). Josh will receive a $25 gift certificate for the win! Tragically Hopped Release – July means it’s time for the next release of our Double IPA, Tragically Hopped. It will be available on draft in the tasting room on Saturday, July 1st (samples, 10 oz pours, and growlers to go). Cans (16 oz, 4-packs) will be available in the tasting room starting on Thursday, July 6th. It will also be available in stores, restaurants, and bars in NH and CT in the coming weeks. Extended Friday Hours – For the months of July and August we will be opening our tasting room at 1 p.m.
Patio – Starting July 1st, you’ll be able to enjoy a beer on our new outdoor patio. Stop by and check it out! 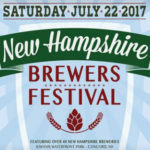 New Hampshire Brewers Festival – Join us on Saturday, July 22nd in Concord, NH for the 4th Annual New Hampshire Brewers Festival. This “For the Brewers, By the Brewers” festival is a one of a kind event, featuring the largest single collection of New Hampshire’s breweries any where. Visit the festival website for more info, to see the list of 45 breweries attending, and to purchase tickets. July 6th – Brewed & Acoustic Open Mic Night – Join us in the tasting room from 6-8 p.m. for an evening of original music led by local singer/songwriter Alli Beaudry. Alli will perform some of her own music in addition to the many other aspiring musicians that will take to the mic! We will also have featured artist, Jordan Levesque! Jordan will perform a number of her original songs. Performer sign-ups start at 5:45 p.m.
July 13th – Dolph Hoyt Presents Great North Trivia – Dolph Hoyt Presents will be hosting pub trivia in the tasting room on Thursday, July 13th, 6-8 p.m. Recommended team size is 3-6 people. The winning team will win bragging rights and a Great North Aleworks gift card! July 20th – Raise a Glass & Cash for NH Angels Walking to Fight Cancer – Join us in the Great North Aleworks Tasting Room from 3:00-7:00 p.m. to support the Team NH Angels Walking to Fight Cancer. We will donate $1 from every flight, pint, growler fill, and 6-pack sold to this great cause! July 27th – The Great Cribbage Tourney – The Great Cribbage Tourney returns on July 27th from 6-9 p.m. Please sign up before 5:30 p.m. the day of the tournament so we can prepare the brackets. You can sign up in the tasting room (ask for the sign up sheet at the bar), or send us a note on our Contact Us page. There will be a prize for the Champion and the winner of the Second Chance bracket. All skill levels are welcome! August 26th – Save the Date! – It’s hard to believe we are approaching our 2nd Birthday, so we will once again be throwing a Great North Birthday Bash in the tasting room. More details to come! Great North Aleworks is now available in Connecticut! We’re excited to announce that we recently signed a distribution agreement with Sarene Craft Beer Distributors making our beers available in the Nutmeg State! Cans and kegs of Great North IPA, Tie Dyed, Robust Vanilla Porter, and Chocolate Milk Stout will begin showing up in stores, bars and restaurants throughout the state beginning February 28, 2017. Please share the great news with your friends and family in Connecticut! UPDATED LIST, Friday, Jan 20th. 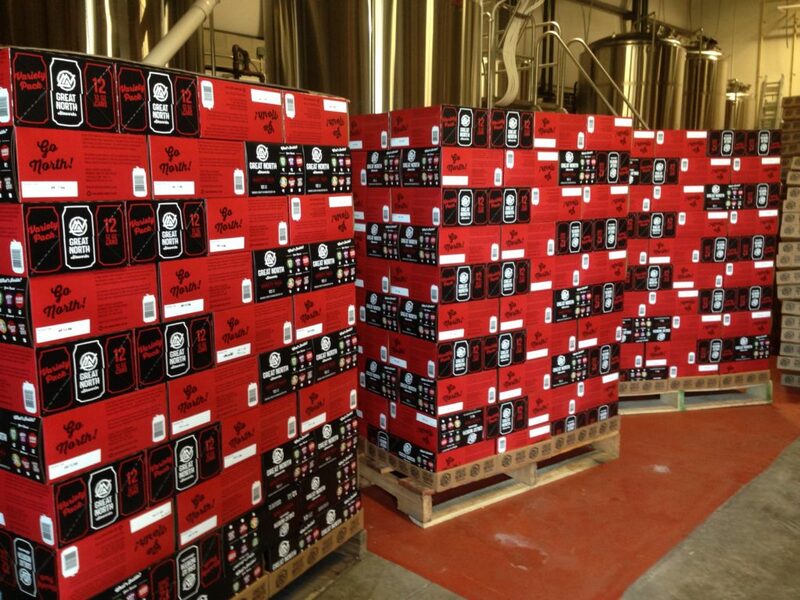 We promised to let folks know where Tragically Hopped cans would be available for purchase. The list below is of stores who have received, or will receive delivery as of Friday. There are still some stores who will get deliveries next week. Cheers! Manchester, NH • November 15, 2016—Great North Aleworks claimed a bronze medal at the 20th Annual Great International Beer & Cider Competition, held on November 4, 2016, in Providence, Rhode Island. This is the second medal Great North Aleworks IPA has been awarded this year, having won a silver award in the American-Style India Pale Ale category at the World Beer Cup held this past May in Philadelphia, Pennsylvania. “Our IPA has quickly become our flagship beer, so it is very rewarding to see it do so well in international competitions like the Great International Beer & Cider Competition and the World Beer Cup. 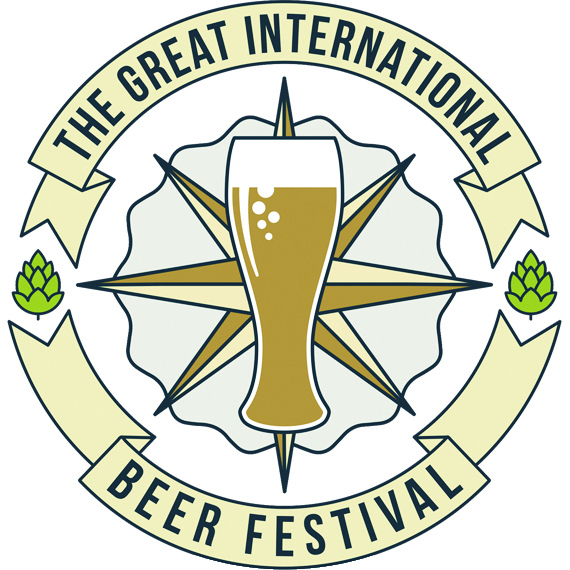 There are so many great IPA’s brewed thought the world, and we are thrilled that our’s has received such recognition”, said Rob North, founder and brewer at Great North Aleworks. This year the Great International Beer & Cider Competition had 814 entries from breweries and cideries across the U.S. and from around the world. Beers and ciders were judged in a blind tasting format by 130 professional brewers, beer industry professionals and beer journalists. First, second and third place awards were presented in 58 categories of ales, lagers and ciders. The judges knew only the style and subcategory of each beer and cider. Great North’s beers are available in cans and kegs throughout New Hampshire thanks to a distribution partnership with Amoskeag Beverages. Year round offerings include: IPA (India Pale Ale), RVP (Robust Vanilla Porter), and Tie Dyed (Dry-Hopped Pale Ale). Other seasonal, special releases, and collaborations are available throughout the year. Alt Rock Beer launch party! We’re throwing a launch party for our next special release that we call “Alt Rock Beer”. It’s a collaboration between Great North Aleworks and the Rock On Foundation to help promote their summer Rock On Fest*. Stop by the Great North Aleworks tasting room on Thursday, July 21st and be among the first to taste this new draft only beer. We’ll have it available by the sampler, pint, and growler. Alt Rock Beer is a copper colored, German style ale brewed with classic Hallertauer hops and Pilsner malt. It’s fermented at cooler temperatures resulting in a clean, smooth beer that is well balanced. Alt Rock Beer is sessionable, yet satisfying, and comes in at 4.8% abv. Not only are we releasing a new beer, but it’s also our next “Raise a Glass & Cash” fundraiser night . We’ll be donating $1 for every pint, flight, growler fill, and 6-pack sold to who else but the Rock On Foundation. If that’s not enough, we’ll also have our first ever live music in the tasting room with a performance from Badfellows. The tasting room will open at 3 p.m. as usual, but the party will officially begin at 6 p.m. We’ll be staying open an hour later till 8 p.m. Tell your friends and get down to the brewery, because this is going to be a great time! Can’t make it to the launch party but want to try the beer? No problem! It will be available in our tasting room by the sampler, pint, or grower for a couple of weeks. You’ll also find it on tap at bars and restaurants around the greater Concord area and beyond. We’ll keep a list of places here. *Rock On Fest is a free event held at White Park in Concord on Saturday, August 13th that includes music, yoga in the park, high school hoops, family fun, local vendors and fireworks. The music line-up includes Born Ruffians, Saintseneca, Jason Anderson, Dirty Bangs, The Snaz and Skinny Bones. Come one, come all! Manchester, NH • May 12, 2016—Great North Aleworks claimed a silver award in the 2016 World Beer Cup, a global beer competition that evaluates beers from around the world and recognizes the most outstanding brewers and their beers. Gold, silver and bronze awards in the competition’s 96 beer-style categories were presented May 6, 2016 during the World Beer Cup award ceremony at the Pennsylvania Convention Center in Philadelphia, Pennsylvania. 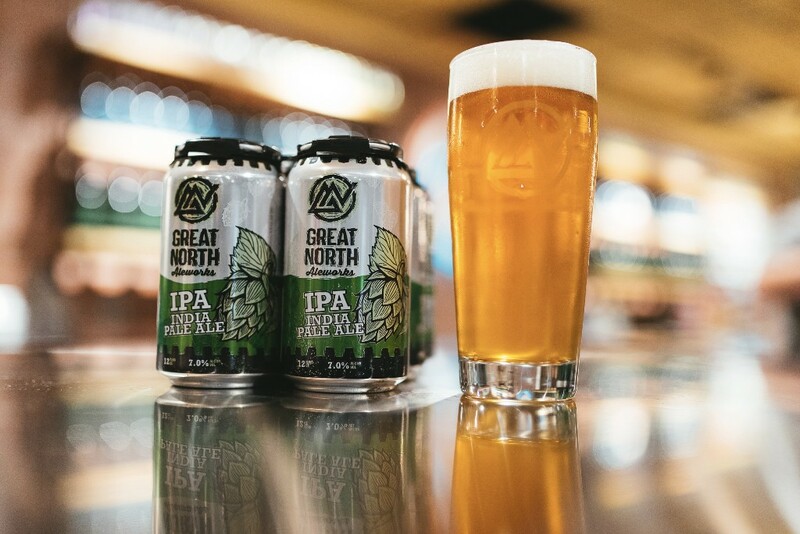 Great North Aleworks was awarded a silver award in the American-Style India Pale Ale category for its IPA, a balanced yet complex beer that is bright and juicy. There were 275 entries in the American-Style India Pale Ale category, the largest category in the entire competition. 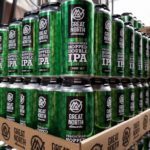 Great North Aleworks is a 20-barrel production brewery located in Manchester, NH, USA that specializes in flavorful, food friendly beers, with a fanatical devotion to quality. “To have won a medal in the most competitive category in the most competitive competition in the world is truly incredible. 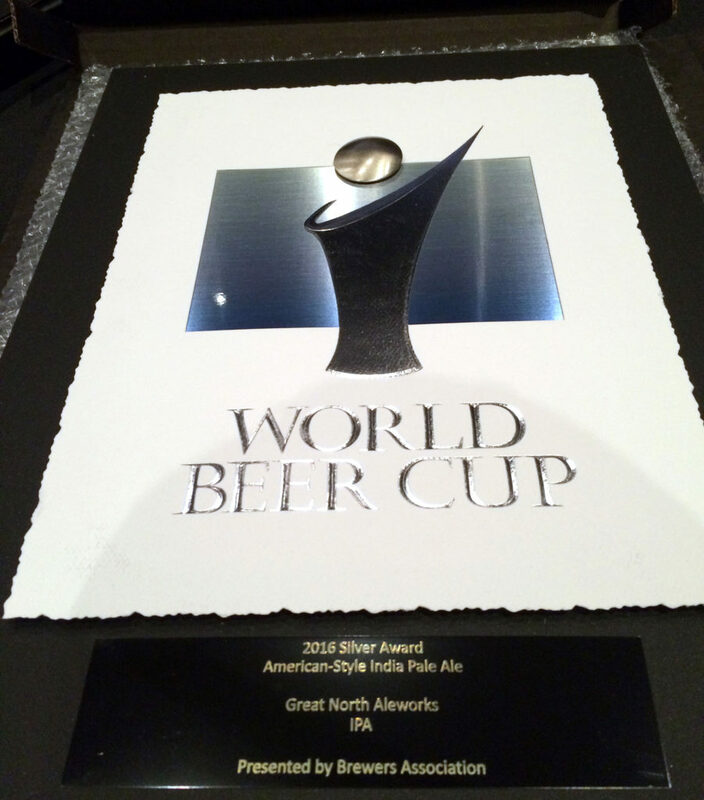 As an 8-month old brewery, this award is a testament to our hard working team who put quality first and strive to make the best beer possible,” said Rob North, owner and brewer at Great North Aleworks. World Beer Cup winners were selected by an international panel of 253 beer judges from 31 countries. 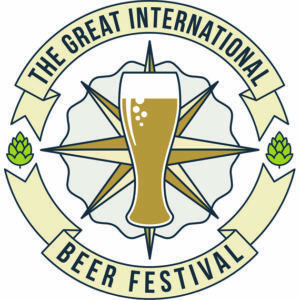 Regarded as the “Olympics of Beer Competition,” the World Beer Cup saw an impressive field of 6,596 entries from 1,907 breweries in 55 countries. 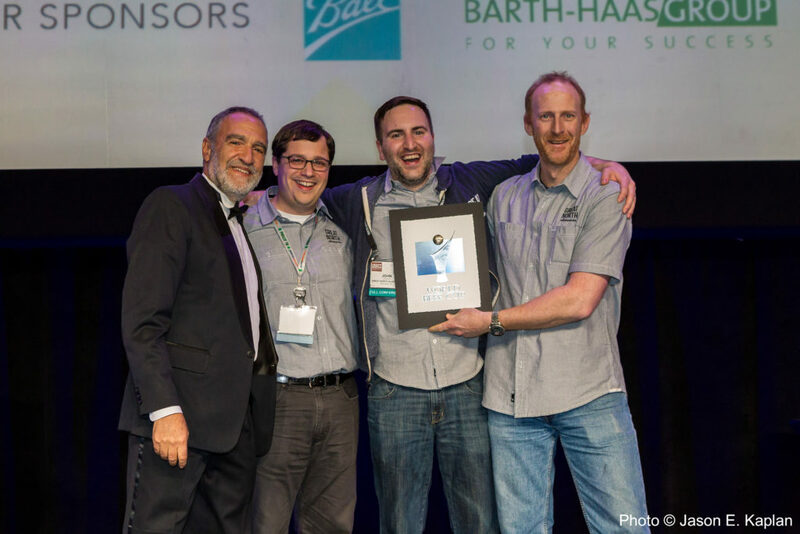 Presented by the Brewers Association, the World Beer Cup has been held every other year since 1996, to celebrate the art and science of brewing by recognizing outstanding achievement. For more additional information, visit the World Beer Cup website. Great North’s beers are available in cans and kegs throughout New Hampshire thanks to a distribution partnership with Amoskeag Beverages. Year round offerings include: IPA (India Pale Ale), RVP (Robust Vanilla Porter), and Smokin’ (Smoked Ale/Rauchbier). Seasonal beers include: Tie Dyed (Summer Ale), Cranberry Wit and Chocolate Milk Stout. Other special releases and collaborations are available throughout the year. It was an exciting day in the brewery today. 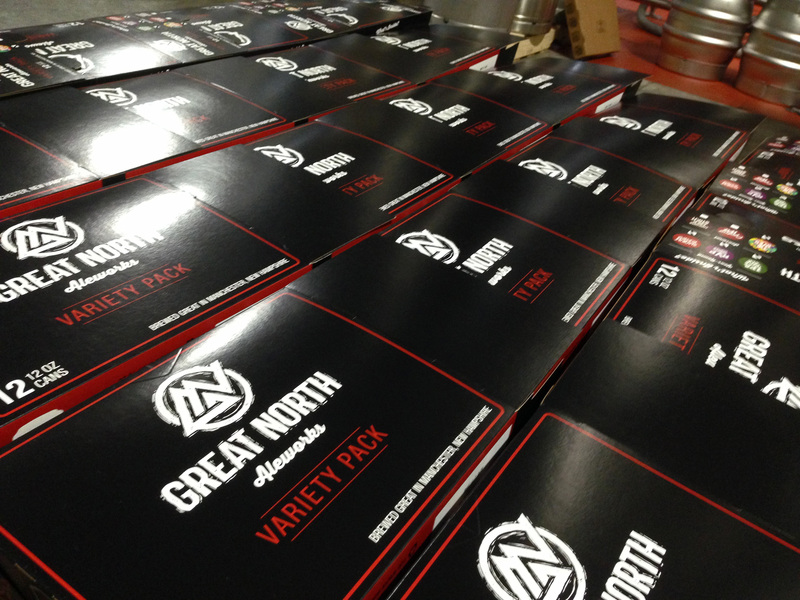 All hands were on deck to fill our first Great North Aleworks Variety Packs. Each 12-pack contains 3 cans each of IPA, RVP, Smokin’, and our summer seasonal Tie Dyed (once fall rolls around you’ll see Cranberry Wit, and then in winter Chocolate Milk Stout).